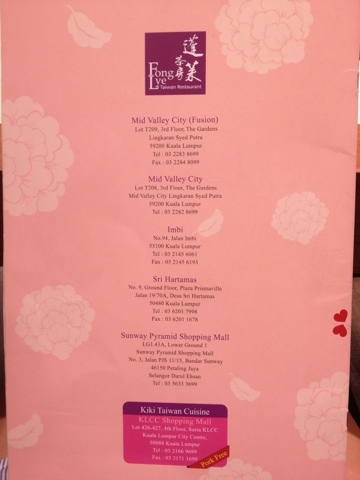 I have always enjoyed going to Gardens Mall for my shopping -- before and after having my daughter. Gardens is a good choice for parents with young kids, especially during the time when my daughter was less than one year old. 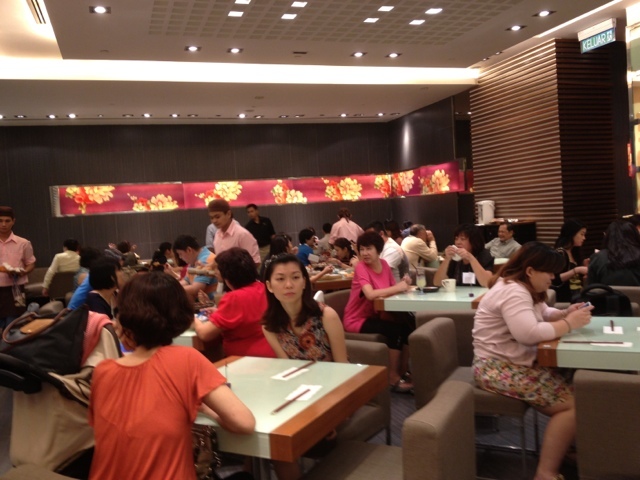 Breastfeeding rooms in Isetan are heaven-sent and there is always a light crowd around that mall. I wrote a more comprehensive article about that HERE. 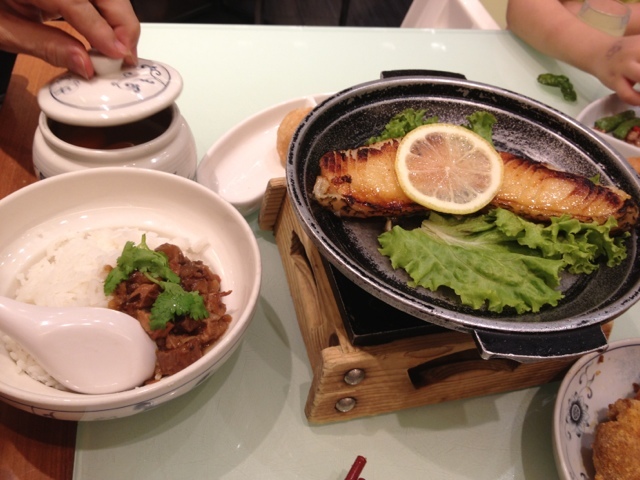 Speaking of Gardens, one of the forever-full-of-people restaurant at that place is Fong Lye Taiwanese. It has been there since Gardens opened its doors, and until today, they still command "CASH ONLY" payment. Yes, it's been going on for years, and despite that rule, crowds still frequent that place. If you walk by, you will notice many people waiting in queue (at least they provide seats and some free welcome drink). 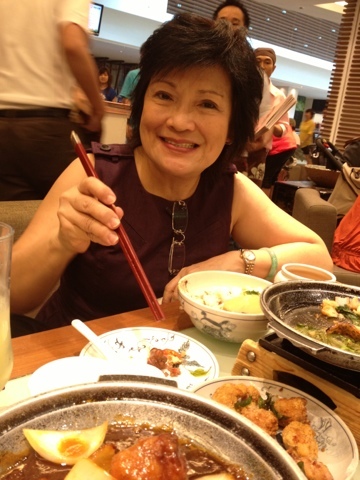 While mom is in town visiting us from Manila, we had to bring her to this place. She had visited a few times during her visits to Kuala Lumpur... and always had fond memories of it. We also did have fond memories of it -- however you will find this review will be a mixed-bag sort of result. 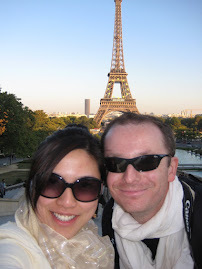 I wanted to give a full account of our latest visit this July 2013. 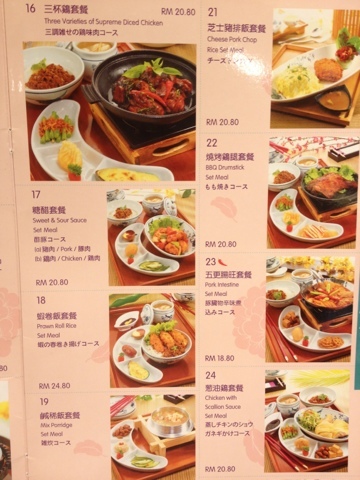 The set menu style of Fong Lye is quite unique, because it is a Chinese-style cuisine delivered in a "Japanese style" kind of bento. 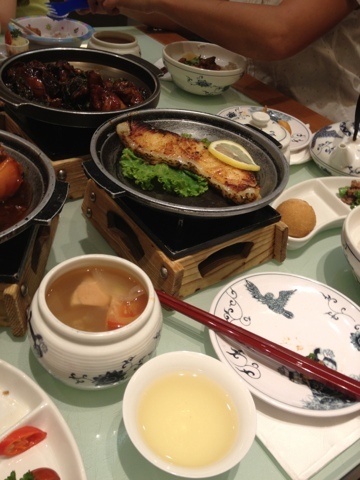 The set meal usually comes with some interesting appetizers (which they change frequently), rice and soup. One mistake we always do is order 1 set menu per person, and this happened to us EVERY TIME we come. It is not because we don't know that we will end up stuffing ourselves, but because we can't help it whenever we are here. Hubby agrees with me we always end up overeating when we come to Fong Lye. Bad, bad, bad yet so good! 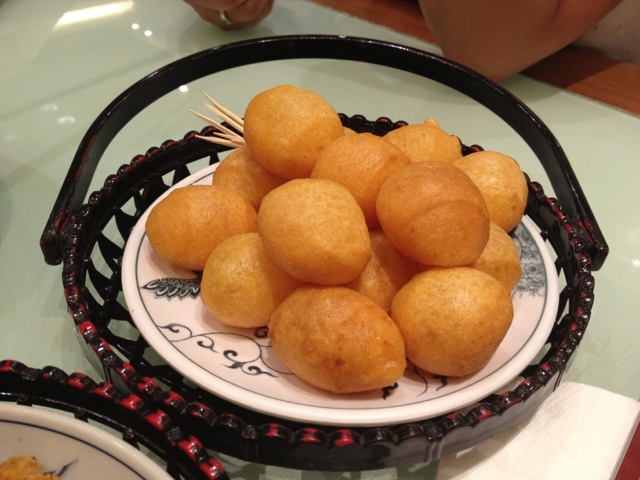 One of the "musts" for me whenever I visit would be the sweet potato balls which are oh-so-heavenly. 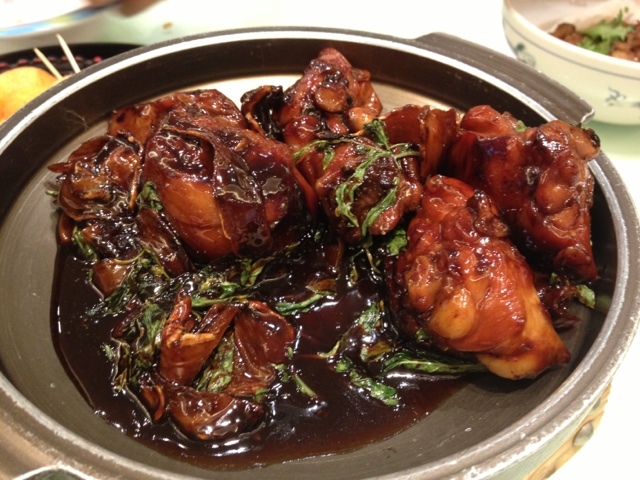 I like the slightly sweet and chewy taste it, and would often over-eat partly because of that sinful appetizer. The waiters have stayed with the restaurant for a long time. Many familiar faces, even my mom recognized them from her last visit. 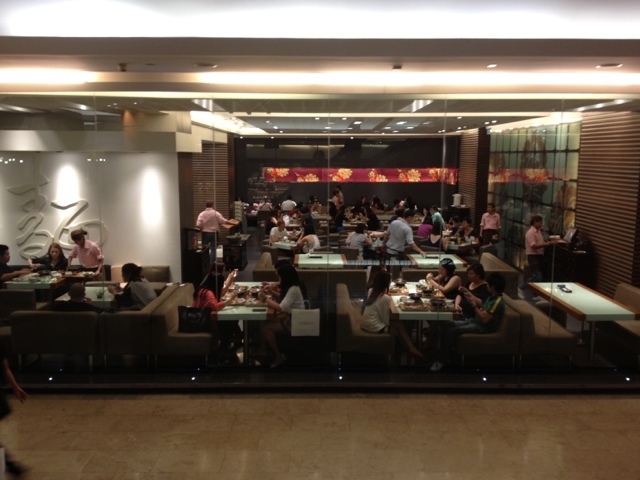 There are quite a number of Filipino waiters serving the customers. 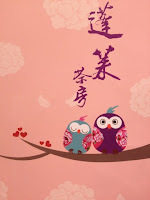 And they always welcome the guests with a hearty Chinese welcome. Service is fast and prompt. However I must caution you that the seats are very packed together. Those with kids will find it quite cramped. It's really just a place to eat and go. They do provide baby chairs if you need one. If you come with a big group, it can be cramped and some of their seats are not too comfortable (if you sit at the sofa-type). One of the things I also noticed during this visit, we ended up ordering food which are too spicy for my daughter's taste. The poor thing didn't like the food because of all the spices they used, even the deep friend chicken was too much for her. The potato ball was okay for her to eat, and she had some soup with rice, then the small mashed potato that came with the appetizer. Mental note to myself: not daughter-friendly restaurant when in comes to food. Speaking of the ambience, one of the things we don't like about the place is the "noise". Somehow, the mix of people talking, their music, the waiters shouting their Chinese welcome and all the elements that blend together -- stresses us out when we eat. We always end up eating too fast at this place... and hubby noticed it too. Definitely not a "relaxing" place to eat, if that is what you are looking for. 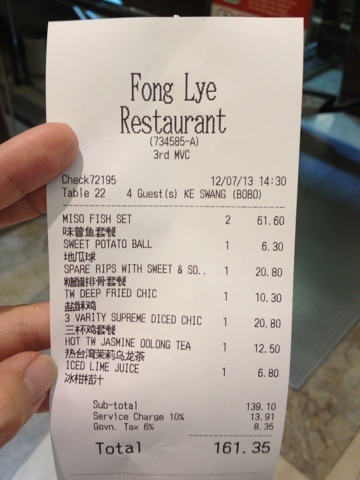 Just want to give a fair account of what you could experience if you come to Fong Lye. 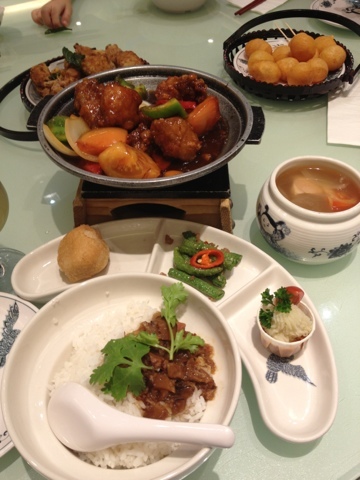 Food: 8/10 tasty Chinese dishes though always end up over-eating which is bad. I also think the food is not healthy... but good for a once-in-a-while splurge. We would visit Fong Lye perhaps once every 6 months. Drinks: 5/10 lots of choices but very pricey! Always Crowded with people. Seats are very close together. Sweet and Sour Pork set meal - tasty. Check out the appetizers. The peanut ball on the left was super good! Extra order of deep fried chicken (boneless). Ordered it for my daughter. 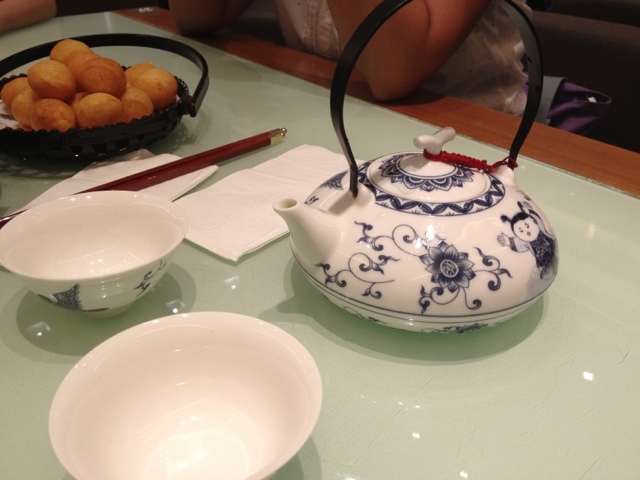 Their teapots are lovely. 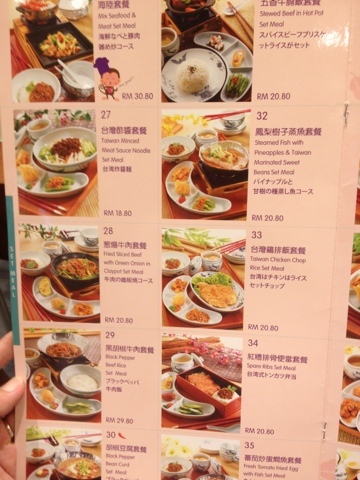 However, as an expatriate, I do find that their drinks menu a bit on the high side on pricing. A pot of tea for 2 person costs RM12. Much higher than most of the places I know. Their famous Sweet Potato Ball -- I swear you must try it! 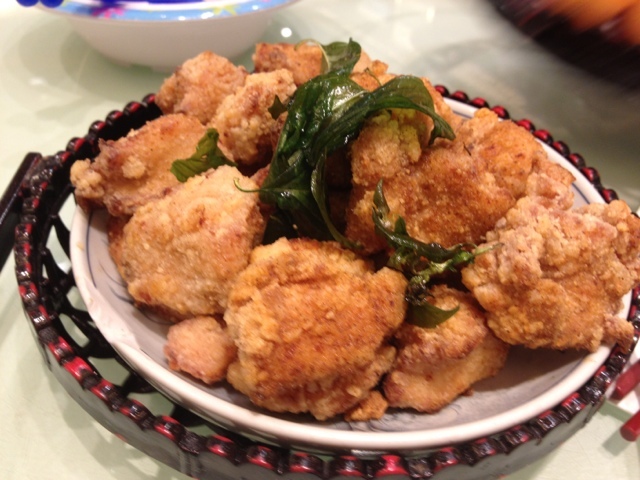 Diced chicken which is cooked with basil leaves - for people who like salty-sweet kind of cooking. Warning: some may find the chicken parts with too much bones. Would be nice if this was boneless!